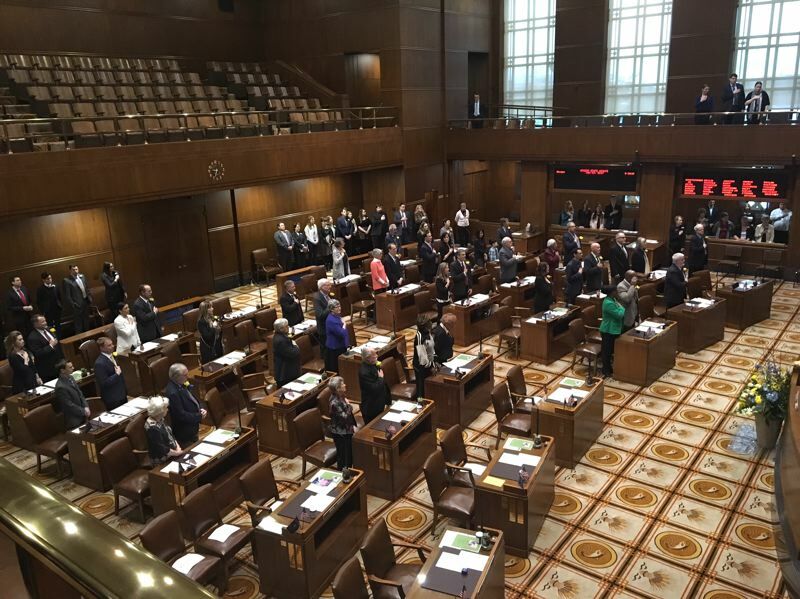 SALEM — Democrats gained key seats in the Oregon House and Senate Tuesday night, securing a long-coveted "supermajority" in each chamber. That means that Democrats will hold 60 percent of the seats in each chamber when the Legislature convenes in January. That composition may make it easier for Democrats to pass legislation considered more partisan such as tax increases or restrictions on carbon emissions. But it's unclear whether moderate Democrats will get on board with more controversial or progressive priorities, but the development also erodes the political clout of Republicans in the Legislature. All 60 seats in the House were up for election this year, while 17 Senate seats went before voters. Democrats picked up three seats in the House, defeating Republican incumbents. They now hold 38 seats. Courtney Neron beat Rep. Rich Vial, R-Scholls, Rachel Prusak beat Rep. Julie Parrish, R-Tualatin, and Democrat Anna Williams beat Rep. Jeff Helfrich, R-Hood River. Democrats also picked up at least one seat in the Senate, giving them 18 seats. Democrat Jeff Golden defeated Republican Jessica Gomez in Southern Oregon's third Senate district in a race to replace retiring Republican Alan DeBoer. After Tuesday's election, where voters rejected two tax-related ballot measures, lawmakers also won't be hemmed in by limitations on taxing groceries or by stricter voting requirements to change tax expenditures like credits, exemptions and deductions. There were several competitive races in House this year, with some Democratic candidates raising and spending more than $800,000. Cash flowed freely in contests in Happy Valley, Hood River and Polk County, where the major party candidates spent more than $1.3 million in each race. A contest between incumbent Sen. Chuck Thomsen, R-Hood River, and Democratic challenger Chrissy Reitz, a former nurse and the chair of the Hood River School Board, proved competitive and expensive. Together the candidates spent about $1.4 million in 2018, according to campaign finance records. As of 11 p.m., Reitz was ahead by less than 100 votes, according to secretary of state results.